Eliminate background TV. If the TV is turned on — even if it’s just in the background — it’s likely to draw your child’s attention. If you’re not actively watching a show, turn off the TV. Keep TVs and computers out of the bedroom. 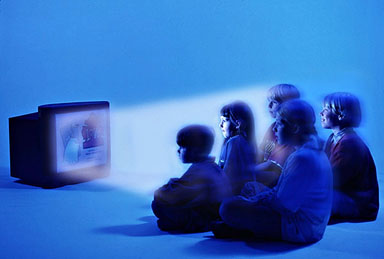 Children who have TVs in their bedrooms watch more TV than children who don’t have TVs in their bedrooms. Monitor your child’s screen time and the websites he or she is visiting by keeping TVs and computers in a common area in your house. Don’t eat in front of the TV. Allowing your child to eat or snack in front of the TV increases his or her screen time. The habit also encourages mindless munching, which can lead to weight gain. Set school day rules. Most children have limited free time during the school week. Don’t let your child spend all of it in front of a screen. Also, avoid using screen time as a reward or punishment. This can make screen time seem even more important to children. Talk to your child’s caregivers. Encourage other adults in your child’s life to limit your child’s screen time, too. Suggest other activities. Rather than relying on screen time for entertainment, help your child find other things to do, such as reading, playing a sport, helping with cooking or trying a board game. Set a good example. Be a good role model by limiting your own screen time. Unplug it. If screen time is becoming a source of tension in your family, unplug the TV, turn off the computer or put away the smart phones or video games for a while. You might designate one day a week or month as a screen-free day for the whole family. To prevent unauthorized TV viewing, put a lock on your TV’s electrical plug. Watch with your child. Whenever possible, watch programs together — and talk about what you see, such as family values, violence or drug abuse. If you see a junk food ad, explain that just because it’s on TV doesn’t mean it’s good for you. 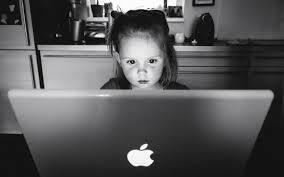 It can be difficult to start limiting your child’s screen time. It’s worth the effort, however. By creating new household rules and steadily making small changes in your child’s routine, you can curb screen time and its effects. or should. Recent studies document the importance of introducing children to the natural world, beginning in the early years. Their social, emotional, and physical health depends on this exposure to develop. Humans are hardwired to need nature—because we are part of it. In some communities, children lack access to nature and the freedom to explore local flora and fauna. How can children care about nature if they haven’t experienced it firsthand? Adults must do what they can to ensure that children have those opportunities. I teach a class of 16 active 4-year-olds. It is early October and today the children are observing a salamander and a common black cricket. Each creature is housed separately in a clear plastic container with a lid. As the children arrive they are immediately drawn to inspect the critters more closely, parents in tow. What is it? they want to know. Parents ask the same question. Comments from the adults play a key role in children’s comfort level. If adults show fear or disgust, they might need to learn about nature too. Being surrounded by nature and natural items provides infinite benefits to children. Nature instills in everyone a sense of beauty and calmness. It exposes us to things that are alive and growing and promotes curiosity and exploration. With an adult as a guide, children can learn about being gentle and respecting living things. Self-esteem can thrive outdoors because nature doesn’t judge people. At a time when bullying is prevalent—even in preschools—exposure to nature can help remind children that the world contains an infinite variety of things and all are important. To observe nature requires patience and quiet watchfulness. 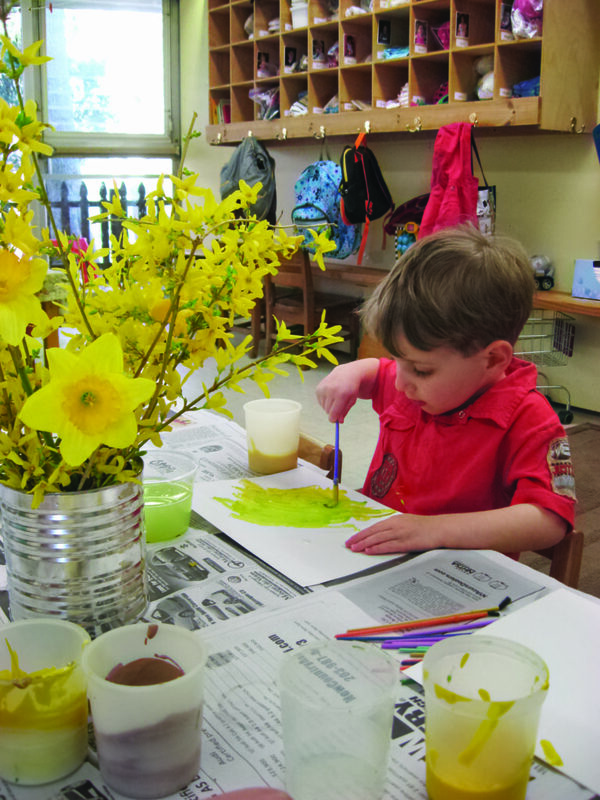 Imagination comes into play as children create special places and use natural items to create stories and play. 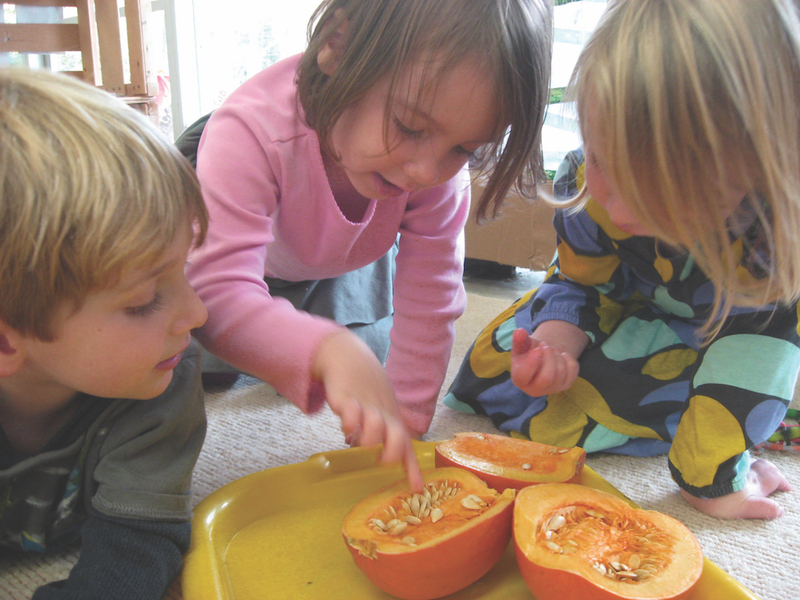 All senses become engaged when children interact with the natural world. On any given day in our classroom we may highlight a live creature, but every day each learning center offers natural items. They are intentionally selected to invite children’s interest. We put out natural materials that will challenge and inspire children’s thinking with no set outcome. These have included findings from the beach, forest, and other ecosystems. For example, we added rocks and sticks to the building area, along with an assortment of wooden blocks. Many times rich discussions and experiences grow out of these starting points. 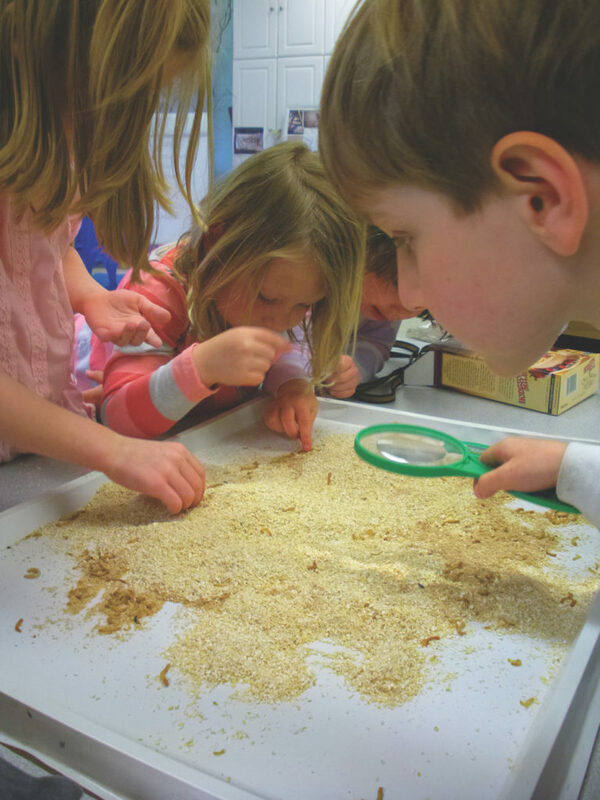 For preschoolers, learning about what is in one’s own backyard is a great place to start. It is where children can get up close and personal with the environment. This kind of learning prepares children for the primary grades, when they will deepen their nature knowledge by learning about the world at large. Each year I make a tree the focal point of the room to make the classroom feel more like the outdoors. This tree is usually housed in the nature corner, a loosely defined area next to the windows. One year I built a grid-shaped nature wall using tall, thin young trees that I spaced a foot and a half apart. This backdrop provided a canvas on which to display natural items collected by children and teachers, such as birds’ nests, giant leaves, and pinecones, which the children were allowed to touch and examine. Children’s artwork and photos of nature were displayed in the open squares of the grid. The children felt a strong connection to the nature wall because they had a direct hand in its creation. It told a story about the children in the class. Children often played or read a book near it. By bringing nature indoors, the children’s daily world became richer and more memorable. GAZETTE: What are the potential negative effects of too much screen time? GORTMAKER: We’ve been studying this issue for a long time. The first article we did on the topic was back in 1985. That looked at the relationship between changes in television viewing time and changes in rates of obesity among children and youth in a large national data set. That was the first study to establish a fairly substantial relationship there, and the mechanisms have since been studied a lot. Children who watch more television have higher rates of obesity. It’s related to marketing, via television, foods that contribute to obesity — for example, sugar-sweetened beverages and fast food. Children also tend to be inactive during that time, but it’s the food marketing that drives most of this relationship. The experimental studies, including randomized trials, documenting this relationship continue to grow, and it is very clear you can reduce viewing time and improve health outcomes. We’ve also done research on the use of other types of screens. The most recent study … looked at children who have access to small screens — for example, a smartphone. 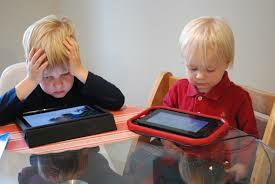 Children with access to small screens had less sleep. The mechanism is simply that the screens tend to keep kids up at night. These are just two of the health-related effects of screen time. Technological change has driven things, first with television — the lack of control of TV marketing to kids — then the growth of personal computers and video gaming, and now the growth of smartphones. It has led to a huge proliferation of devices that can engage children for many hours a day. Beyond the health effects, more than anything else when children are young, they need to spend time with real people: other children and adults. So we are very interested in helping parents lower the dose — not necessarily to ban technology, but just lower the dose so children don’t spend their entire days with televisions, computers, video games, and now smartphones. GAZETTE: Is back-to-school a time that parents should begin thinking harder about this, with screen time competing with homework and activities? GORTMAKER: If you want to use the words of behavioral economics, parents are concerned about the “transaction costs” of trying to rein in and lower the dose of these devices. Parents are often reluctant to intervene and limit their children’s screen use because they believe they will have to monitor what the kids are doing, figure out when the time is up, and then convince the child to end the activity. That’s why we wrote this guide. There’s now lots of software and hardware available to make it really easy for parents to lower the dose — at very low transaction costs. However, few parents are now using these options, which we consider a shame because it actually makes parenting in this area a lot easier. GAZETTE: Can you talk a little about some of the tips you think might be useful to parents? GORTMAKER: One that’s pretty simple revolves around use of computers and iPads and the like. Typically they will come with parental controls that allow you to set blockout times when these devices can be used and can’t be used, let’s say at night, when you want children to be sleeping. Other controls are available for different types of television screens and video games. There’s a device called TV Bob — there used to be an earlier version, called TV Allowance — where each child gets a four-digit code and it basically just controls power to the screen. When they want to use it, they enter their code — you set a total amount of time each week and you can set blockout times. The great thing about this device is you don’t have to do any monitoring after that point. When it gets shut off it isn’t you shutting it off, it’s the device shutting it off. It works really well, particularly with younger children. You don’t want to try and start using it with a teenager. GORTMAKER: The transaction costs there are enormous and that’s why I think parents shy away from this area of parenting, because it just seems hopeless and impossible, but the technology actually makes it quite simple. GAZETTE: And you can save your energy, as a parent, for other fights? GORTMAKER: Exactly, but again all this is much easier if you begin setting these limits when children are young. For our children we began around first grade. I admit, I just don’t see the utility of children spending an average of three to four hours a day sitting in front of the TV when there are so many more interesting things to do. It’s also useful to give children time to get bored a little bit, so they can be creative. GAZETTE: Are there other things parents can do? GORTMAKER: Parental control of smartphones is more complicated. One of the reasons we wrote this guide is we wanted to get other researchers and people in the technology industry thinking about these issues, because the smartphone is a complicated area. We note in the guide that Steve Jobs was quoted in The New York Times, when running Apple, as saying “We limit how much technology our kids use at home.” But right now smartphones don’t have much in the way of parental controls. We did hire a couple of smart adolescent computer coders to create software, called Lockwork, that works with Android phones. You can set a total amount of time per week when the smartphone will be a smartphone, and you can also set blockout times, and then times when it’s not a smartphone. It turns into what you might call a dumbphone, where the holder can call their parent, 911, or another number that you decide on. It’s another way, again, not to get rid of the technology but to lower the dose and set limits. Apple devices don’t have any software like this available. For their computers they have nice parental controls, but not for their smartphones. For Android devices, Lockwork, in this beta version, is something that some people have found useful. It’s something that will work 24/7. I think smart screens have been a source of confusion for a lot of parents. On the one hand, they want their children to be technologically savvy, but on the other hand they haven’t wanted to get involved in trying to control devices because of the perceived costs. Again, I think it’s really a question of dose. It’s not that hard to use technology to set some limits on smart screen dose, and this can benefit both children and parents. The key to getting kids outdoors is making it fun! That’s not easy when you are competing against video games, iPads, smart phones and 4k TV, but with the right attitude and some help from gift ideas that encourage outdoor play, it is totally doable. Let’s take a look at the top 10 gift ideas to encourage outdoor play! When I was a kid it was all about the bike! We would ride everywhere and couldn’t wait to get out of school and ride somewhere. It is great exercise and also promotes responsibility and freedom which every kid need a little bit of. Remember to keep bikes size and age appropriate and encourage your kids to ride daily. Binoculars are such a cool gift for kids because they associate them more with adults. Binoculars are great for bird and wildlife watching and they can also come in handy when playing outdoor games. When the kids are small stick to binoculars that are under $25, but once they get to be around 12 or so you should make an effort to get them “real” binoculars to keep them interested and to show them that you think they can handle the responsibility. Visit DeerHuntingGuide.net for a fantastic guide to choosing binoculars. Fishing and kids go hand in hand. There is no more pure outdoor fun than taking a kid fishing and your son or daughter will be thrilled to have their own rod, reel and tackle box. Not to mention that it will be a great excuse for you to spend the day developing your relationship with the next generation of outdoorsman and women. I remember my first garden from when I was a kid. My grandfather and I cultivated the soil and planted vegetable and I would water the garden everyday and check for growth. After a couple of weeks I kinda got bored and stopped checking the garden. A few weeks later my Grandfather came to me and said, “You haven’t been to the garden in a while, maybe you should check it and make sure everything is ok”. I went to check the garden and there, before my eyes was this huge, beautiful watermelon! I couldn’t believe it! I was so excited! I didn’t find out until years later that Gramp had bought the watermelon and put it in the garden to rekindle my love of gardening. It worked! This is a great gift for the smaller kids! 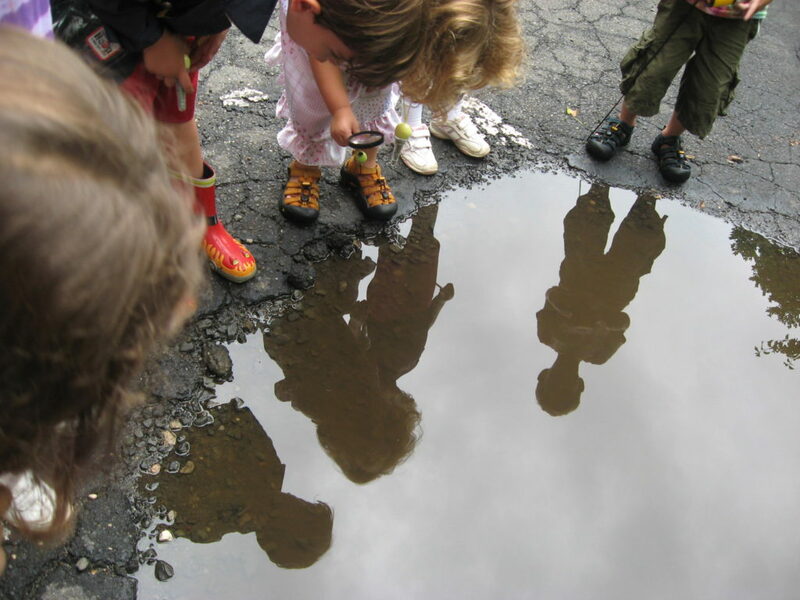 Take the time to help them find cool things to examine. 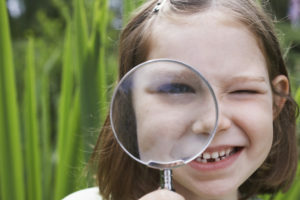 Make sure that it is a quality magnifying glass with a big, glass lens! Taking pictures in the outdoors is exciting for kids because they feel like they can then bring it inside with them. While you can buy a camera for your kids, I have found that an old smartphone works great for this. It really seems to connect with kids that phones are a valuable outdoor tool and not just technology that you use inside. 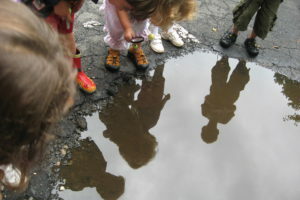 A microscope is a very cool gift to encourage outdoor play. The number of things that you can look closer at is endless. This gift is obviously for the slightly older kids, although young kids can have fun with sufficient adult supervision. Flashlights sound simple enough, but they can be an awesome gift for nighttime adventures outdoors. Think nighttime walks in the woods or even night crawling. Night crawling is a great activity for kids of all ages. What is night crawling? It is the act of finding large earthworms as they crawl out of the ground and on to the surface at night. It works best in the summertime after a rain. You just sneak along with a flashlight and grab the nightcrawlers before they can get back in their hole. This a great gift for older kids that don’t have a lot of outdoor ambitions, but love to explore! There is nothing as exciting as digging up something of value after your metal detector goes off. They are a little expensive, but a great tool for getting our kids out from in front of their screens and out into the fresh air. A sandbox is a great place for young kids to dig and play. One can be constructed fairly easily and inexpensively from simple lumber and filled with sand. My kids spent hours playing with trucks and shovels in their sandbox when they were young. There you have it, 10 awesome gift ideas that encourage outdoor play. These gifts will have your kids playing outdoors for hours and fostering a love of the great outdoors!